You are here: Home » Nike+ GPS for iPhone. Just Download it! 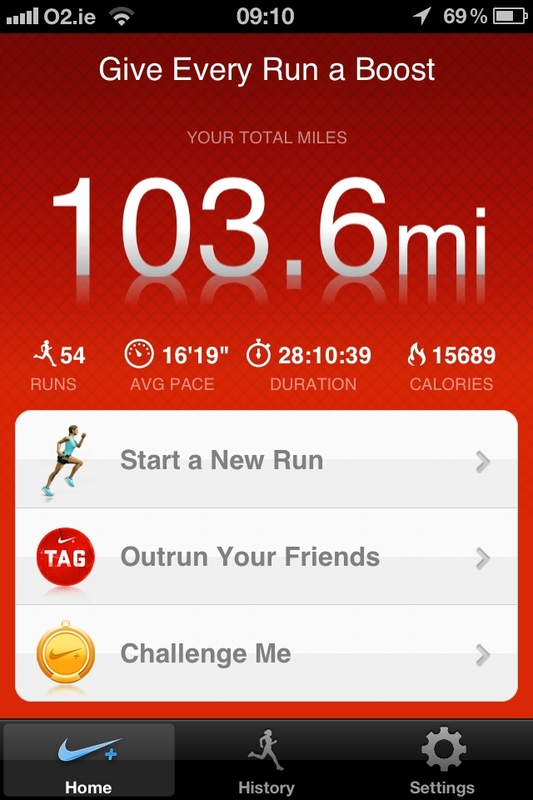 Nike+ GPS for iPhone. Just Download it! In a recent effort to try to get back doing some regular exercise I downloaded the Nike+ GPS app to help. I talk about all the mushy reasons on the health kick here if you really want to know. However, back to the app. I like my lists. I like some visual reinforcement of what I have done and what I need to do so was looking for an app to help track my progress. I knew of the Nike app but thought you had to purchase some do-da thing that tracked your movement and linked to your iPhone and was pleasantly surprised with the new (or new to me) Nike+ GPS app when I came across it. The app itself tracks and records my runs. The duration, pace and GPS data. It then allows me to update my run with pieces of info such as weather, how I felt and the type of terrain. It plays music from the iPod and gives audio feedback on distance and speed. It’ll share your run on Twitter or Facebook if you wish. The GPS data it gathers is great and it maps out with extraordinary accuracy your route and shows you on the route map your pace so you can see where exactly you slowed down or speeded up. It also works indoors. As in you can jump up on your treadmill to record your runs. It uses the accelerometer in the iPhone. The first few times you may need to calibrate it (and make sure you select indoor) but it was very accurate and within a few metres of the distance recorded on the treadmill in my testing. However the best bit for me is the website and app combination. You can set-up your account on the website and have your runs sync with your web profile automatically. 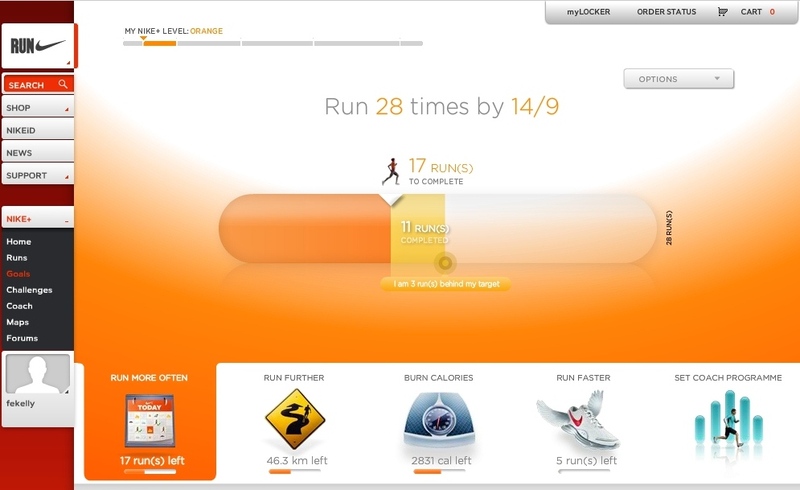 On the site you can set targets, track your progress and get training schedules. And it caters for all. Not just marathon runners but for people like me starting off just trying to get back into running (or fast walking!). There are a few more options for real runners like challenges but the above was just what I needed. For €1.49 it is a superb app that gives the main features of much more expensive GPS training devices and for me it suits just perfect. There are a few things I would like to see changed. The little sound bites when you record a new distance or fastest speed that get blasted in your ears are a little cringing and too much use of the word ‘awesome’. The website I think could be improved but it doesn’t really take away from the core usefulness of the app. ← A cluttered desktop on your computer? Get some Fences!